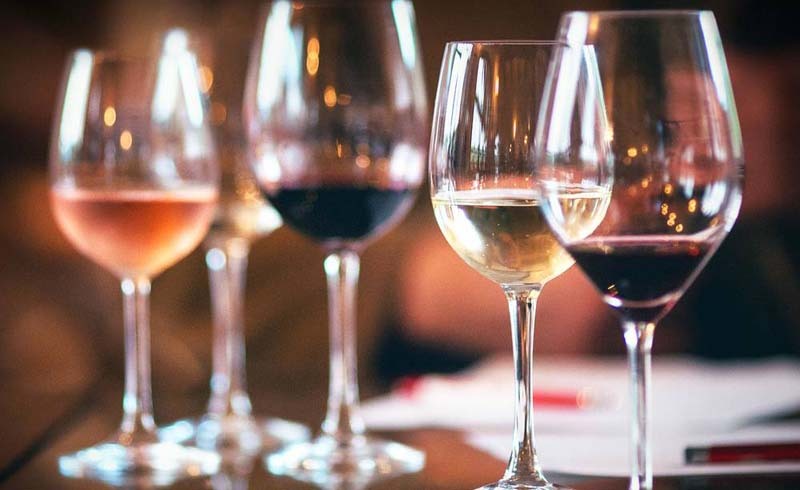 Beautiful glassware is an excellent accessory for any party, but cleaning it afterward can be a pain. 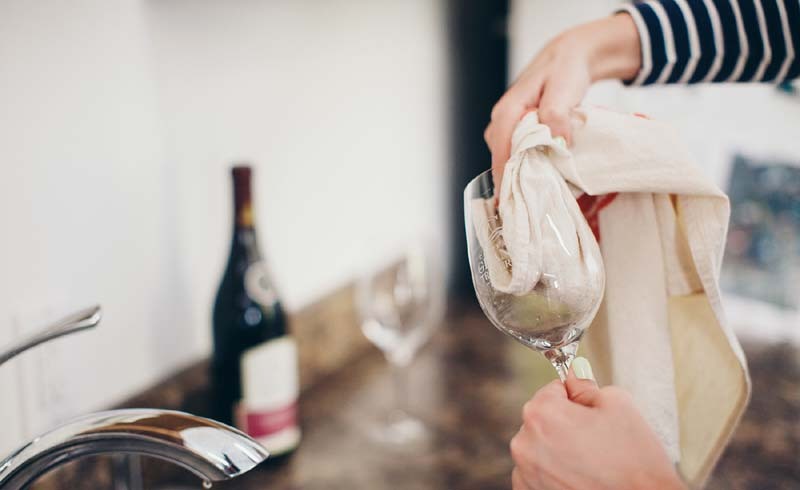 Professionals will recommend polishing wine glasses with a cloth for a crystal-clear effect, but in real life, you just want them dry and stainless. The trick? Don't even bother hand drying your glasses. After washing them with hot water, place the glasses upside down on a cooling rack or oven rack. If you don't have either, simply place the glasses upside down on two chopsticks. Once they're dry, polish up the edge of the glasses, and you're done.